Dr. Fleming's training in both general and child/adolescent psychiatry has prepared him to help patients manage behavioral health concerns across all lifespans. His previous experiences involved working with college students, veterans in inpatient and outpatient settings, and individuals of all ages in a multi-disciplinary behavioral health office. 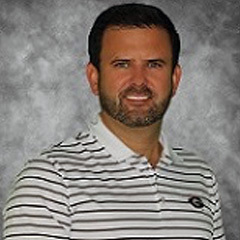 In his time away from the office, Dr. Fleming enjoys spending time with his family and his dogs, exercising, reading, watching sports; following the Dawgs football, and traveling. Dr. Fleming is a board certified psychiatrist who joined Georgia Behavioral Health Professionals in June 2018 after serving in a university mental health clinic setting for the past 4 years. He attended the University of Georgia for his undergraduate education followed by the Medical College of Georgia for his medical degree. He then completed a psychiatry residency and a child and adolescent psychiatry fellowship at the Medical College of Georgia.